Tradejini Financial is a key player in the stock market with hundreds of Tradejini Financial Sub Broker working under them across India. Tradejini Financial Services is a few years old in the share market business and it has a long way to go. Though this company is new it is very well accepted by the customers and the business partners and a detailed analysis of the company’s business models. Revenue sharing models, eligibility criteria, security deposit requirements, brokerage plans, account opening, and other related charges will be elaborately discussed in this article that you are going to read. So, if you are interested in becoming a Tradejini Financial Services sub-broker or want to invest through this broker, this article is just the one you were looking for all the information. With an overall rating of 2.4, this company seems to be on the right track within the first few years of its journey. The Tradejini Financial Services customer ratings suggest that the company handles the customers really well and make them happy with their behavior and services. The rating of 2.4 individually for the services and the customer experience justifies the thought. The company got to improve a little the product it has as the rating is 2.3 in this column and also their trading systems as the rating is 2.2. The sub-brokers are quite happy with the support they get and the rating in this matter is 2.4 and also overwhelmed by the revenue they get as they have rated the same with a 2.5. They might not be that happy with the security deposit they have to keep as the rating of 2.2 suggests but they are good with the offers they get as that is rated at 2.4. All these make a 2.4 as the overall rating. This is a private firm which was established only 7 years back in the year 2012 by J Kishore Kumar. The company has its headquarters in the Bengaluru city in Karnataka and has branches in other places as well. The company is a full-service broker that is it provides all kind of services that is required by the investors to invest in the stock market. If you are thinking of becoming a sub-brokers of the company then you have to wait for 30 days after you apply for the same and this is the sub-brokers code activation time which the company requires to activate the code for the sub-brokers. The payout time of Tradejini Financial Services is 31 days which is comparatively on the lower side. This model is the simplest of all where the sub-brokers get clients from their end, sale the products and services to the clients, generate revenue and get a percentage of that revenue as their earnings. This sub-brokers model is a perfectly competitive business model as there can be any number of sub-brokers of the same company working in one place. The sub-brokers needs to keep a certain amount with the company which is the security deposit and according to the amount of deposit, the revenue percentage is decided and shared. As the name suggests the person who is interested in referring a person to Tradejini Financial Services is always welcomed and he or she would receive a percentage of the revenue if the company can generate any from the referral made. The reference can be from any source be it relatives, family, friends or employees or colleagues. The revenue sharing is dependent on the amount of security deposit in case of the sub-brokers as mentioned above. So, the sub-brokers who keep the minimum amount of deposit with the company are entitled to receive 60% of the revenue generated by them. 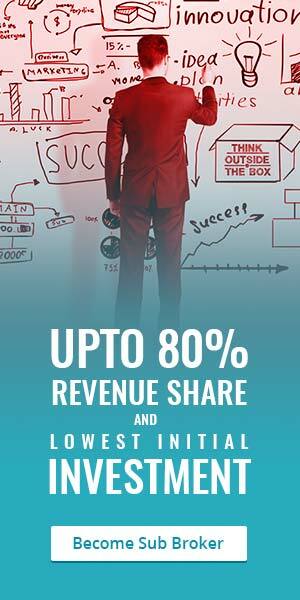 As the amount of deposit goes up the percentage of the revenue will also go up to 85%. The referral program partners get paid at 20% flat on any reference from which the company has made revenue. Now coming to the security deposit, the company charges a minimum of Rs. 50000 from the sub-brokers and the maximum amount can go up to Rs. 250000. The sub-brokers according to their budget or financial aspirations can choose any amount in between the range and accordingly, they will be remunerated. For the referral program, there is no cost or deposit involved. The Tradejini Financial Services support includes product training which is provided to make the partners understand the company’s product better and then pitch them well in front of the clients and prospective customers. The marketing support, back office support is also provided by the company to grow the business and also for smooth operations. The company also helps in trading if the sub-brokers are new to the field. For all transactions of any volume, any asset classes, any amount, the brokerage Tradejini Financial Services charges is a flat Rs. 20 per trade. The account opening charges of Tradejini Financial Services is Rs. 299 and that is the only charge (one-time fee) you have to pay while opening the account. There is no margin money requirement as well. Additionally, you have to pay the transaction charges because of your transactions as per the rule of the government which is 0.00315%.